Have you ever come home from a bad day only to have your stress melted away by your faithful canine companion? Dogs tend to have that special quality about them, and a new study suggests that it could be beneficial for your children. Researchers at the University of Florida say that dogs have what they call a “stress-buffering” effect that can help kids cope with the world around them. "How we learn to deal with stress as children has lifelong consequences for how we cope with stress as adults. . . Our research shows that having a pet dog present when a child is undergoing a stressful experience lowers how much children feel stressed out," Kertes said. 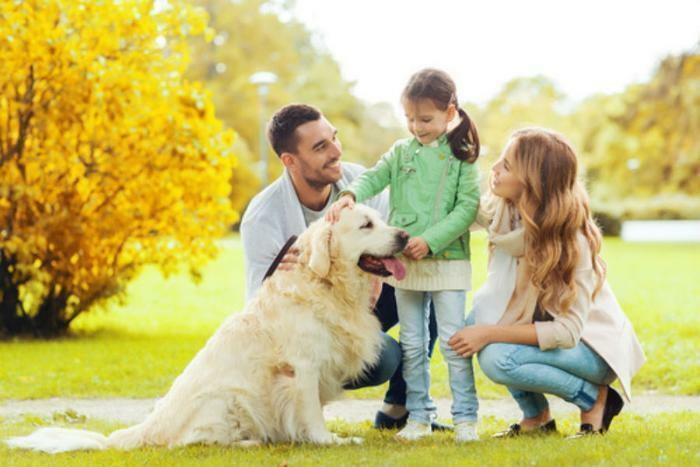 "Children who had their pet dog with them reported feeling less stressed compared to having a parent for social support or having no social support," said researcher Darlene Kertes. Kertes and her colleagues conducted a randomized controlled study in which 100 pet-owning families visited their laboratory with their dogs. Children in the families were asked to take part in a public speaking task and mental arithmetic in order to stimulate feelings of stress and had either their dog, a parent, or no social support present depending on their group assignment. To objectively measure stress levels, researchers took saliva samples from children before and after the tasks to see how much cortisol was present; high amounts of the hormone would indicate higher levels of stress. The findings showed that children who had their dogs present for support and actively engaged them had less cortisol in their saliva. "Children who actively solicited their dogs to come and be pet or stroked had lower cortisol levels compared to children who engaged their dogs less,” said Kertes. The results show that children who have a pet dog may benefit from their stress-buffering capacity, especially if they’re at a time in their life when they’re learning how to cope with anxiety. "Middle childhood is a time when children's social support figures are expanding beyond their parents, but their emotional and biological capacities to deal with stress are still maturing. Because we know that learning to deal with stress in childhood has lifelong consequences for emotional health and well-being, we need to better understand what works to buffer those stress responses early in life,” said Kertes.